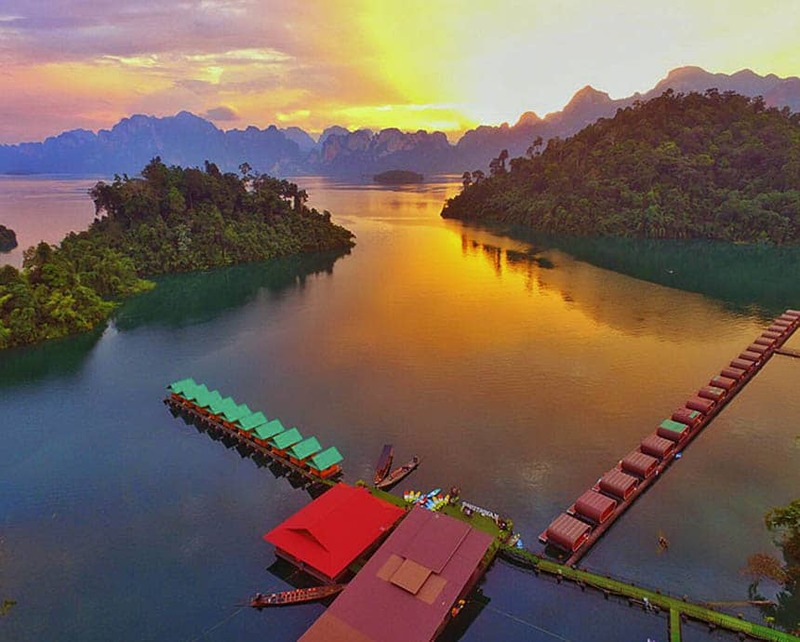 Wildlife lovers, prepare to experience the unique magic of Khao Sok at sunrise, as we set out on an early morning safari by boat. But don’t worry if early mornings aren’t your thing – this is an incredible location to explore at a leisurely pace, with some phenomenal views. After lunch, we’ll continue our journey to Krabi, a region boasting some of the finest beaches in Thailand. After checking into the hotel, get ready to expand your culinary horizons on an epic street food safari. Think crispy fish cakes, fresh papaya salads and sizzling coconut delights – and perhaps an insect or two? 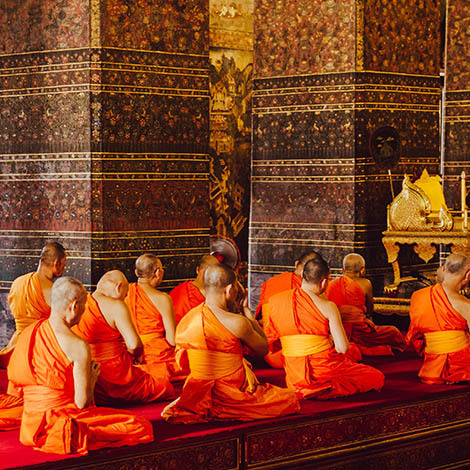 Absorb the tantalising aromas and colourful sights of Thai market life, seeking out its unique delicacies and foodie secrets. Today, get ready to dive into the tropical depths of Railay Bay as we head out on a snorkelling safari. But not until we’ve checked out the paradise sands of Phi Phi Island, a pearl in the Andaman Sea. We’ll then speedboat over to the secluded shores of Bamboo Island, to encounter its perfect white beaches and blossoming coral. After lunch on Phi Phi Don, we’ll continue to Monkey Beach to meet its cheeky inhabitants. As we weave between the islands, there’ll be plenty of opportunity to disembark into the water; snorkel through clear blue seas at a chilled pace, encountering the abundant coral and tropical fish beneath the surface. Then lather on the sun cream and kick back in the tropical rays – it’s time to work on that tan. On the way back, we’ll pick up our luggage and head over to our beach hotel: the perfect place to unwind. Prepare to release your inner daredevil this morning, as we ascend the epic limestone cliffs of Railay Bay. But don’t worry if you’re a complete beginner – from novice to monkey-in-disguise, our expert guides will accommodate all levels of experience. Discover the rugged beauty of the karst stone up-close, working with its textured surface in your chalk-powdered hands. Flex your muscles as you pull yourself up the cliffs (perhaps with a little help from your belayer), then absorb the truly spectacular views from the top – your hard work was well worth it! Return to solid ground and crack open the cold beers, energised with the buzz of learning a new skill. Come evening, we’ll head out for a final feast, celebrating the incredible adventure we’ve had.